The best friend of Sgt. Andrew Tahmooressi spoke to Greta Van Susteren last on FOX News. Sgt. Mark Podlaski served in Afghanistan with Tahmooressi. Podlaski said his best friend Andrew was stripped naked, chained to a bed and beaten with a bat. Tahmooressi is being treated like a prisoner of war. A friend of the U.S. Marine being held in a Mexican prison on gun charges has compared his plight to that of a prisoner of war, telling Fox News’ Greta Van Susteren that Sgt. Andrew Tahmooressi told him he had been beaten and chained to a bed by Mexican authorities. Mark Podlaski said on “On the Record with Greta Van Susteren” he spoke with Tahmooressi on the phone last week from the prison where he is being held, and Tahmooressi told him “very disturbing details” about how he had been treated. 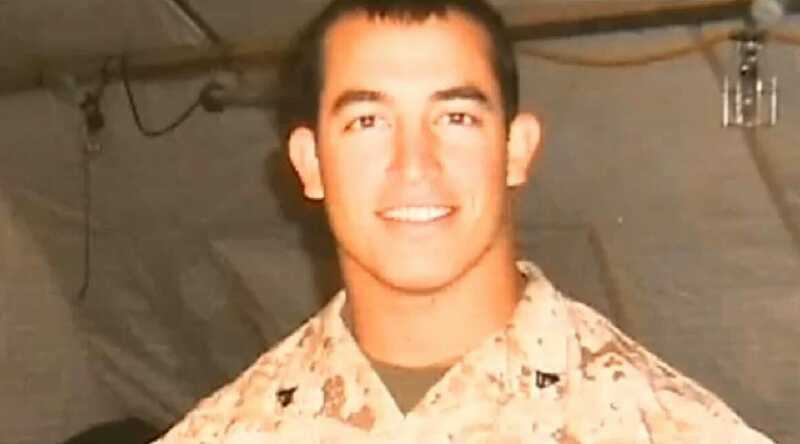 Tahmooressi was arrested March 31 after accidentally crossing the border with weapons in his vehicle. Podlaski said Tahmooressi, whom he described as a “Marine’s Marine,” told him he was beaten with a bat and that the beating was so brutal, it dislocated Tahmooressi’s jaw. Podlaski said his friend also told him he was stripped naked and chained to a bed. Podlaski said it is absurd that Mexico, which he pointed out is supposed to be an ally of the U.S. and receives U.S. aid, would treat an American citizen this way. “This is like POW, Vietnam, you know prisoner of war camp type stuff,” said Podlaski, a Marine himself who served with Tahmooressi in Afghanistan. So where is the Obama administration on this?